The HinduPrime Minister Narendra Modi addresses the nation from the rampart of the historic Red Fort during Independence Day celebration, in New Delhi on Saturday. Not every Indian is equally involved in the Prime Minister’s project of ‘moving the country ahead’. And the real ‘Team India’ that is piloting the nation’s development does not see eye to eye on many issues with vast sections of India’s population. Prime Minister Narendra Modi’s Independence Day address this year, though delivered in Hindi, was peppered with English words. Three kinds of English words. The first kind was as follows — those that were already a part of spoken Hindi, though not quite the norm in formal speech; words such as ‘busy’, ‘injection’, ‘side-effect’, ‘request’, ‘fashion’, etc. Then there were those that belong to a specific semantic cluster — the world of the market, business, management. To this category belong terms such as ‘work culture’, ‘financial inclusion’, ‘productivity’, ‘good governance’, ‘transparency’, ‘parameter’, ‘dimension’, ‘pyramid, ‘brand ambassador’, etc. U.S. President Barack Obama salutes as he returns to the White House following a trip to Chicago May 30, 2013 in Washington, DC. Over the last seven years since the start of the financial crisis during the Fall of 2008, wages have only been modestly increased. While the president can only do so much when it comes to wages in the private sector, he has more wiggle room when it comes to government positions, most notably the military. The salary for members of the military fluctuates depending on rank and position, but the general consensus is that they are too often underpaid. As PayScale.com notes, the average salary for a United States Solider is $39,688 per year, plus additional funds for housing and food. According to USA Today on August 28, President Obama has ordered an "across the board" base pay increase for federal civilian workers and military members. The increase will take place on January 1, and will include a one percent raise for civilian workers, and a 1.3 percent increase for members of the military. Earlier this year, House and Senate Democrats proposed an increase of 3.8 percent for all federal workers, but it failed to gain any traction in a a Republican controlled House. Congress was made aware of Obama's decision after the president sent two letters to lawmakers explaining his decision. The 1.3 percent increase is the largest raise given to federal workers since 2010, as the economy has improved. 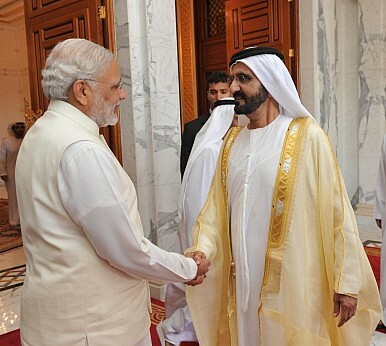 Narendra Modi’s visit to the UAE was the first by an Indian prime minister to that country in 30 years. The visit was quintessentially Modi-like: a warm embrace of Abu Dhabi’s crown-prince, Mohammed bin Zayed al-Nahyan, a pitch for trade and investment and for his flagship “Make in India” initiative, and a speech in the midst of Dubai’s large and vibrant Indian community that bore resemblance to his address at Madison Square Garden in New York last year. Many of the themes distilled from the India-UAE joint statement are articulations of a gradual, yet visible, transformation in India’s relationship with the UAE, and more broadly, with the Gulf Arab states. Chief among these themes are energy security, human security, counterterrorism and defense. 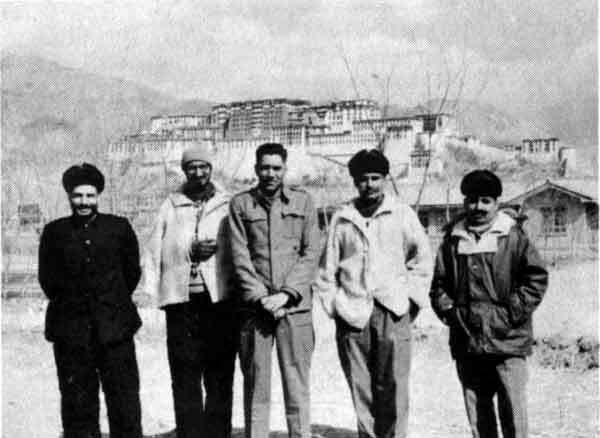 On October 20, 1962, the Indian prisoners were marched along a narrow track across the Namkha chu (river); later we went up to the Thagla pass (about 15000 feet). On our way, we passed huge stocks of unfired mortar shells by the sides of our mortar positions, while on the northern side of the ridge, Chinese parties were still bringing up 120 mm mortars on a man pack basis. Like good carpenters, foreign policymakers need to know their tools. Rigorous IR research is the only way to evaluate them effectively. Critics bemoan the lack of policy relevant scholarship in academic international relations (IR). This perspective overlooks a burgeoning cluster of academic IR studies that address one of the most basic informational needs foreign policymakers have: an understanding of what foreign policy tools work and what tools do not. Consider the deep body of academic IR work addressing the effectiveness of foreign policy tools in three critical areas: counterinsurgency (COIN), counterproliferation, and conflict resolution. Government COIN forces benefit from working with village militias. Elections should be held soon after a conflict ends. All of these categories of studies I have mentioned (and linked to) assess specific foreign policy tools. They are not evaluating less mutable conditions like polarity, globalization, or democracy. These studies examine the tools themselves, informing policy in the most direct way. I was beaten in Pakistan for my religion. I am far from alone. A Christian couple, parents of three children with a fourth on the way, were accused of blasphemy by a mob and incinerated in a brick kiln at their worksite in Punjab last November. Suicide bombers blew themselves up at two churches in Lahore in March. Asia Bibi, a Christian laborer and mother of five, awaits a hearing on her death sentence after being accused of blasphemy in 2009. In Peshawar 127 worshipers were killed and 160 wounded by suicide bombers at All Saints’ Church in September 2013. ISLAMABAD, Pakistan — A new report by two American think tanks asserts that Pakistan may be building 20 nuclear warheads annually and could have the world’s third-largest nuclear stockpile within a decade. ISLAMABAD, Pakistan—U.S. national security adviser Susan Rice is set to arrive in Pakistan on Sunday to press the country’s government to do more to prevent terrorists from using its territory as a base for attacks on its neighboring states, an American official said. Washington has warned Pakistan that its stands to lose $300 million in military aid if it doesn’t step up efforts to combat the Haqqani network, an Afghan insurgent group that U.S. officials says is based in Pakistan and has close ties to Islamabad’s military intelligence agency. The Haqqani network is blamed by U.S. and Afghan intelligence for a series of bombings in Kabul earlier in August. Ms. Rice is due to meet with Pakistan’s top civilian and military leadership for discussion that will include “terrorist and militant attacks emanating from Pakistani soil,” the U.S. official said. The visit also comes amid rising tension between India and Pakistan, in the wake of a canceled meeting between the two countries’ national security advisers. Each side blamed the other for derailing the talks, which had been set for last Monday. Nine civilians were killed Friday by cross-border firing between the estranged neighbors, authorities on the two sides said. The U.S. official, however, said that the trip, planned for weeks, wasn’t in response to the India-Pakistan strains. Following the attack on the Erawan Shrine on August 18 in central Bangkok, which killed 20, including a number of Chinese tourists, and injured more than 100, Thai authorities and media speculated that the attack could be the work of Uyghur extremists from China’s restive Xinjiang province. 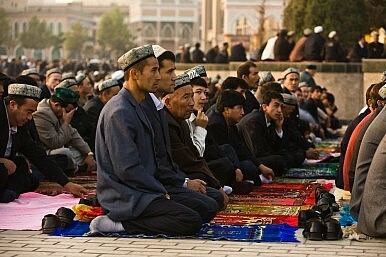 Given the fact that there are other Thai actors with immediate motives to undermine the current military junta, such as disaffected “Red Shirts” (supporters of exiled former Prime Minister Thaksin) and Muslim separatists from southern Thailand, a Uyghur link would appear on the surface to be unlikely. Yet the Uyghurs have in fact become a thorny issue for the Thai government and other Southeast Asian nations in their relations with China, and further investigation into the extent of the region’s “Uyghur problem” reveals the extent of Beijing’s reach. 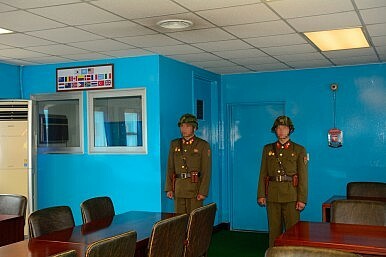 During each period of tension along the demilitarized zone people inevitably look to the South and the United States to see what might have been done to contribute to the rise of tensions. In the case of the most recent tensions, the focus has turned toloudspeakers and balloons. South Korean activists, often Christian and often defectors, fill balloons with propaganda materials, movies and clothes. Those balloons are then launched across the border. Relations between the organizations involved are often frosty as those involved have a range of political views. Residents near the border, where the balloons are often launched from, occasionally scuffle with the activists. The people who live in the border town fear North Korean reprisals and Pyongyang has repeatedly threatened “merciless retaliatory strikes” against the launches. As a result, these activities exist within the context of violence and deterrence that exists along the border. Who Will ‘Win’ in the Philippines’ South China Sea Case Against China? China’s military might, economic power, and cultural sway might be enough to make the country a great power. Yet these resources are not sufficient to help Beijing achieve its political and strategic goals through coercion or going it alone. In military terms, China is still behind America. Economically, its power is reliant on other states, especially with neighboring countries. 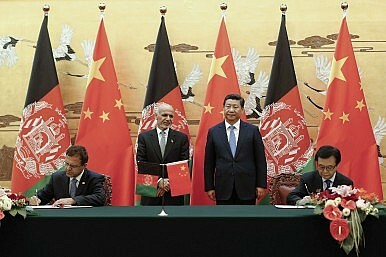 China’s paradox, therefore, is that while its rising capabilities may seem to afford it the opportunity to pursue alternatives to the existing rules, its reputation and credibility are insufficient to establish new rules altogether which can be widely accepted by its Asian neighbors. 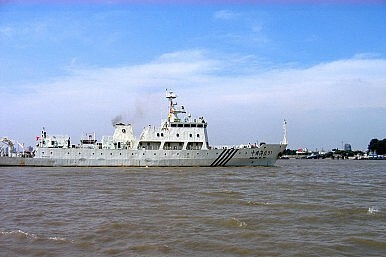 Chinese approaches to international institutions and rule of law in the South China Sea, especially with respect to the arbitration case initiated by the Philippines, is one of the most significant examples supporting this argument. Despite China’s protestations against discussing the issue, the South China Sea was front and center at this month’s meetings between the Association of Southeast Asian Nations (ASEAN) and other regional players in Kuala Lumpur. Amid criticisms of China’s island-reclamation activities, the U.S. and China continued to trade accusations that the other is militarizing the South China Sea. Meanwhile, China maintained its objection, to no avail, to internationalizing the South China Sea issue through the involvement of non-ASEAN members. The ship has sailed on both fronts. 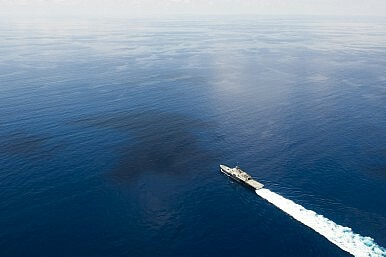 Now, more than ever, the South China Sea has become both a military and international issue. Given how all parties appear to have dug deeper into their positions, the situation looks unlikely to change anytime soon. Chinese politics over the past two years can be summarized in two words: anti-corruption. It is said that 100,000 corrupt officials have already been caught, and public has been dizzied by the rapid tempo at which “big tigers” are falling. Right now, it’s common to see netizens joking: Wow, it’s been two weeks – why hasn’t the next minister fallen? There’s no doubt that this administration has shown unprecedented determination to fight corruption, with similarly unprecedented scale and results. But as anti-corruption deepens and becomes the new normal, some questions remain unanswered, or are even getting more serious. For example, why is the government fighting corruption? When will a system for fighting corruption be built? Is there a roadmap for fighting corruption to the end? Over the past month, there has been a lot of “China drama.” The volatility in the Chinese stock market, the yuan devaluation, and now the Tianjin warehouse explosion have all raised China chatter to a new level of anxiety. Some of the anxiety is understandable. 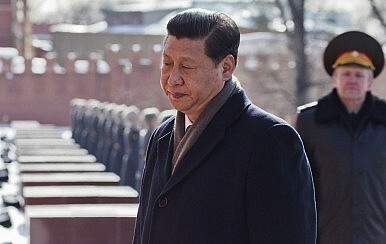 These events have real consequences—above all for the Chinese people. At the urging of the Chinese government, tens of millions of Chinese moved to stake their fortunes not on real estate but on the stock market—the most unfortunate used their real estate as leverage to invest in the market and are now desperate for some good news. The Tianjin warehouse explosion has thus far left 121 Chinese dead, more than seven hundred injured, and over fifty still missing. Globally, the yuan devaluation has triggered a rate rethink by central bankers in Europe and the United States, and the stock market slide has contributed to steep drops in Asian and U.S. markets. The air campaign in Desert Storm was a watershed for air power. It demonstrated the effectiveness of precision munitions, marked a high water point for electronic warfare and introduced radar stealth in a decisive manner. It also established a template for the application of air power that has taken root in Air Force culture and remains firmly established a quarter century later. Unfortunately, the Instant Thunder air campaign has also become the template for future air campaigns, despite being poorly suited for that role. In retrospect, we have learned many of the wrong lessons from Desert Storm, in that we had time to build up forces, operated from a broad network of U.S.-built bases and essentially ravaged the military structure of a small, isolated nation with an incompetently led military using obsolete equipment and outdated employment doctrine. By the time Allied Force rolled around in 1999, it should have become clear that the same template produced uneven results at best, even when backed by a combined NATO air force. When it comes to the nuclear deal debate, who wins? Zakaria rightly touts the JCPOA’s thoroughness in blocking Iran’s path to a nuclear bomb, whether uranium- or plutonium-based. The agreement prohibits Iran from enriching uranium beyond 3.67 percent. (Natural uranium contains 0.71 percent of the UR-235 isotope. A 90-percent concentration is best suited to making nuclear weapons; anything below 20 percent, i.e., low-enriched uranium, effectively rules it out.) Even enrichment to the level permitted is limited to the Natanz facility. Two centrifuge cascades can spin at the Fordow facility but cannot be infused with uranium hexafluoride gas (UF-6). 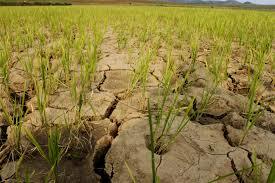 All operational machines must be the older, problem-prone IR-1 models, and the maximum number allowed is 5,060. Iran now deploys some 20,000 centrifuges, and Natanz can house as many 50,000, Fordow nearly 3,000. So this constitutes a deep cut. Surplus centrifuges (IR-1 models and the more advanced IR-4, 5, 6, and 8 types) must be stored, subject to constant IAEA monitoring through electronic seals and surveillance, plus on-site inspections. Iran is limited to 300 kilograms of low-enriched uranium at the permitted level of concentration, not counting purchases from external suppliers for operating its reactors. The upshot is that it must forfeit all but 2 percent of its current stock. 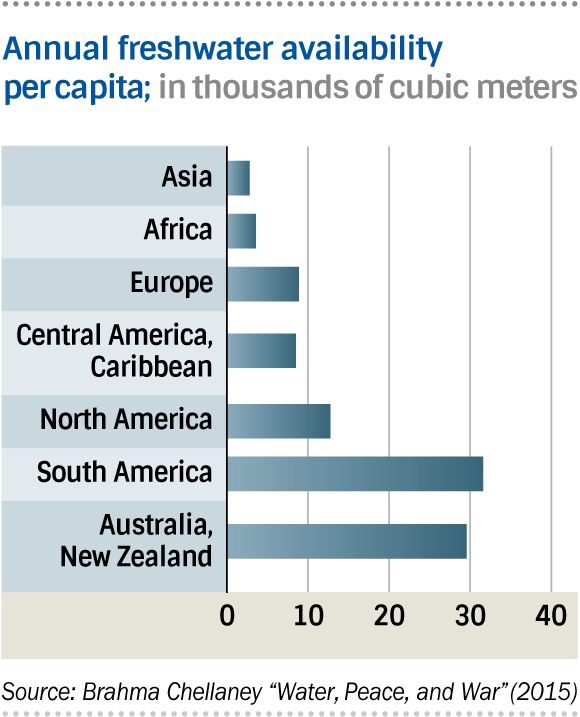 The excess must be exported to an international buyer or “down-blended” to natural uranium. Another deep cut. The rapid succession of events in the past four years—the Arab Spring, the Egyptian military coup, and the rise of ISIS—have challenged conventional wisdom on political Islam. After the democratic openings in 2011, mainstream Islamist groups—affiliates and descendants of the Egyptian Muslim Brotherhood—rose to newfound prominence after decades in opposition, but grappled with the challenges of governance and deeply polarized societies. The subsequent “twin shocks” of the coup in Egypt and the emergence of ISIS are forcing a rethinking of some of the basic assumptions of, and about, Islamist movements, including on: gradual versus revolutionary approaches to change; the use of tactical or situational violence; attitudes toward the state; and how ideology and political variables interact. Rethinking Political Islam is the first project of its kind to systematically assess the evolution of mainstream Islamist groups across 12 country cases—Egypt, Tunisia, Morocco, Syria, Yemen, Libya, Saudi Arabia, Kuwait, Jordan, and Pakistan, as well as Malaysia and Indonesia. The project engages scholars of political Islam through in-depth research and dialogue to consider how the Arab uprisings and their aftermath have shaped—and in some cases altered—the strategies, agendas, and self-conception of Islamist movements. Each author has produced a working paper that draws on on-the-ground fieldwork and engagement with Islamist actors in their country of expertise. Authors then write reaction essays focusing on 1) how reading the other country cases has made them think differently about their own country of focus, and 2) broader observations on regional commonalities and divergences. These are presented on the Brookings website in a real-time format, so readers can track responses and reactions between the authors as they grapple with each other’s cases and respond to feedback. Finally, authors will produce final drafts incorporating additional insights gleaned from the months of dialogue and discussion. In short, readers will be able to follow along and see how a diverse array of Islamism scholars have “rethought” their cases. Reaction essays will be posted here in October 2015 and the final drafts will be posted this winter. Supply-side downward price pressure has been the story of global energy prices over the past year: newfound supply from the Shale Revolution, OPEC’s gambit of market-share grabbing inundation, and new supply coming online from Iraq and soon Iran. The result was a plunge in oil prices from $115 in mid-June 2014 to below $70 by mid-December, and then to the low $40s as of last week. 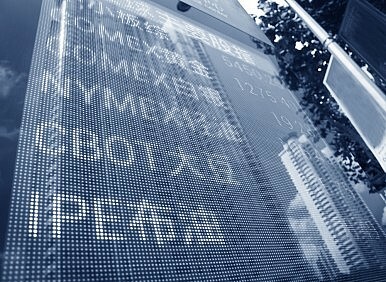 Now we are seeing signs of a new economic crisis, one that began in Asia and spread to Europe and North America. China’s stock market meltdown has gathered pace and the recent yuan devaluation stands as a grim omen of not only tepid Chinese growth, but a lack of currency stability in the region should the crisis deepen. The 8% drop in Chinese exports in July is leading to a few uncomfortable questions of oversupply and a lack of global demand – systemic issues that transcend the sphere of domestic economic policy in China – and a looming currency war will only serve to make things worse. The precise bottom of this newest sell-off in global equity markets is open to speculation, but in terms of oil prices it represents demand-side downward pressure and, depending on how things pan out, the potential for a whole lot more of it. WTI crude was down over 3% in pre-market trading to flirt with the sub-$39 range. This is a scenario that is various degrees of terrifying for oil-producing economies, many of which have weathered the past eight months with a combination of fiscal austerity, asset sales, debt issuance, and burning through foreign reserves – basically holding on for dear life and hoping for a price rebound which now looks to have been pushed further into the future. Type ‘‘Anwar al-Awlaki’’ into YouTube’s search bar, and you get 40,000 hits. Most of them bring up the earnest, smiling face and placid voice of the first American citizen to be hunted and killed without trial by his own government since the Civil War. Here is Awlaki on what makes a good marriage; on the nature of paradise; on Jesus Christ, considered a prophet by Muslims; on tolerance; on the holy month of Ramadan; and, more quirkily, on ‘‘obesity and overeating in Islam.’’Here is Awlaki, or Sheikh Anwar, as his many admirers still call him, easily mixing Quranic Arabic with American English in chapters from his 53-CD series on the life of the Prophet Muhammad, once a best seller among English-speaking Muslims. But in the same queue of videos is material of an altogether different nature. You will find Awlaki explaining why you should never trust a non-Muslim; how the United States is at war with Islam; why Nidal Hasan, who fatally shot 13 people at Fort Hood, and Umar Farouk Abulmutallab, who tried to blow up an airliner over Detroit, were heroes. There is, finally, his culminating ‘‘Call to Jihad,’’ recorded in 2010 when he was already on President Obama’s kill list and on the run in Yemen’s tribal badlands. In it, with the confidence and poise of a YouTube handyman explaining how to caulk a window, he details just why, exactly, it is every Muslim’s religious duty to kill Americans. After the bomb blast, the sky rained dried fruit, nuts, and candy. It was shortly after noon on August 29, 2003, outside the Imam Ali shrine in Najaf, Iraq. I had just entered a long, narrow street leading to the shrine when the massive explosion shook its walls. I ran toward the smoke in what seemed like dead silence: I had been temporarily deafened by the blast. The alley had turned dark, as if in a sudden solar eclipse. And showering down on me from the swirling black plume were dried apricots, almonds, and brightly-colored lozenges. I would learn later that they were from the street vendors’ carts lining the walls of the shrine, blown into the air by the explosion. It would be many years before I understood that the Najaf bomb was to the Middle East’s sectarian conflict what Gavrilo Princip’s bullets were to the First World War—the single act of violence that would shatter an uneasy balance of ethnic forces, unleashing years of conflict, costing countless lives, and gradually trawling in some of the world’s major powers. A provocative article says the Islamic State is a mystery. Here’s why that’s wrong. While this piece may reflect the prevailing mood among former diplomats, political scientists are far less baffled. Many scholars have already stressed the importance of studying the Islamic State in comparative perspective and have shown that the group is far less unique among insurgent organizations in terms of brutality and state-like governance activities in territories it controls than commonly thought. The systematic study of political violence further illuminates three key elements of the perceived “mystery” of the Islamic State: its treatment of civilians, battlefield tactics and broad strategy. Like any Southeast Asian economy whose trade with China is a major foundation of growth, Malaysia was bound to suffer as the Chinese economy staggered and Chinese stock markets plunged. Malaysia is China’s largest trading partner in Southeast Asia, and Malaysia-China two-way trade topped $100 billion in 2014. 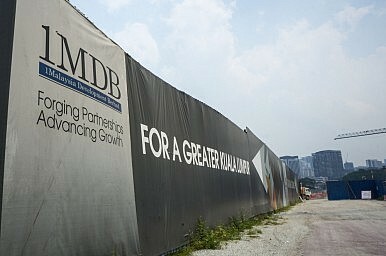 Malaysia’s central bank is clearly losing the battle to defend its national currency, the ringgit, which fell to RM4.2275:US$1 on Aug. 24 before recovering slightly on Bank Negara [central bank] buying…The Swiss bank UBS last Friday, Aug. 21, issued an alert saying the magnitude and speed of the currency’s decline ‘exceeded our bearish expectations,’ falling 24 percent against the US dollar over the past year. In the fight against the Islamic State (IS), some pretty surprising tools have come to the fore. Teamed up with US forces, Kurdish militias in Syria have been turning to Google-based maps and Android devices to direct US air support. With publicly available tools like these, Kurdish fighters can record the exact GPS coordinates of the enemy and forward a map to their US partners, hundreds of miles away, who can then rain terror — and bombs — on the enemy, and can do so with some measurable degree of accuracy. This technologically enhanced partnership is only possible, really, because of open-source information and software, like Google Earth. And it marks a gigantic shift in the way the world — and particularly those within the government — views both espionage and this publicly accessible information. As we move further into the 21st century, one of the biggest shifts will be seen in the intelligence community, which is slowly moving toward more open-source information-gathering tools. Last month, Raymond Cook was appointed the next chief information officer for the US intelligence community — in short, the top IT guy in the free world. In his new role, one of his greatest challenges will be helping the intelligence community find and utilize more tools geared toward finding and synthesizing open-source intelligence. Beneforté seeds were first sold in 2010 and the packaged broccoli arrived in supermarkets in the UK and US in 2011. It’s on sale in the UK in 10 grocery chains, and though it’s not currently available in the US because of a gap in supply, Monsanto expects it to be widely available in 2017. Broccoli may seem out of step with Monsanto’s corn- and soy-heavy business, but it’s right in line with shifting consumer preferences for healthier, less processed foods. For the year ending June 2015, US unit sales of soft drinks were down 2% and units sold of ready-to-eat cereals were down 4%, while fresh produce sales were up 2% by volume, according to data from Nielsen. Companies like General Mills and PepsiCo are trying to lure customers back with revamped products likeall-natural Trix and aspartame-free Diet Pepsi. With Silicon Pushed To Its Limits What Will Power The Next Electronics Revolution? The semiconducting silicon chip launched the revolution of electronics and computerisation that has made life in the opening years of the 21st century scarcely recognisable from the start of the last. Silicon integrated circuits (IC) underpin practically everything we take for granted now in our interconnected, digital world: controlling the systems we use and allowing us to access and share information at will. The rate of progress since the first silicon transistor in 1947 has been enormous, with the number of transistors on a single chip growing from a few thousand in the earliest integrated circuits to more than two billion today. Moore's law - that transistor density will double every two years - still holds true 50 years after it was proposed. Nevertheless, silicon electronics faces a challenge: the latest circuits measure just 7nm wide - between a red blood cell (7,500nm) and a single strand of DNA (2.5nm). The size of individual silicon atoms (around 0.2nm) would be a hard physical limit (with circuits one atom wide), but its behaviour becomes unstable and difficult to control before then. Without the ability to shrink ICs further silicon cannot continue producing the gains it has so far. Meeting this challenge may require rethinking how we manufacture devices, or even whether we need an alternative to silicon itself. To understand the challenge, we must look at why silicon became the material of choice for electronics. While it has many points in its favour - abundant, relatively easy to process, has good physical properties and possesses a stable native oxide (SiO2) which happens to be a good insulator - it also has several drawbacks. Open-source intelligence (OSINT) is information that the intelligence community gathers through open, as opposed to covert, means. Whereas most people consider intelligence to be information obtained by spies operating in deep cover, and bits of data that are known to the fewest number of people possible, OSINT is the complete opposite. OSINT comprises social media posts, blogs, newspaper articles, podcasts, and publicly released memos and documents from foreign governments. It’s any and every bit of data that the average person can get their hands on — if they know where to look. And the intelligence community, after years of focusing the majority of their attention on covert information, is taking another look at the value of open source intelligence. Like the US, the alliance as a whole is readying forces for a full range of combat scenarios — and planning a historically complex exercise. NATO is preparing to hold its most complex military drills in decades — perhaps since the Cold War — as it readies allied troops for a range of hybrid combat scenarios that they might face in coming years. Tens of thousands of troops, hundreds of aircraft, ships and submarines are expected to participate in the October-November exercises in and around Spain, Portugal and Italy. The last timeNATO assembled so many forces for a wargame was in 2002; this year’s event is considered even more complicated. Called Trident Juncture 2015, the exercise will simulate many types of scenarios that have popped up over the past 13 years, including cyber attacks and ballistic missile defense. By contrast, NATO forces have spent most of the past decade fighting counterinsurgency in Iraq and Afghanistan. Earlier this month, the Army conducted a similar hybrid-style exercise in California, one of its own most complex drills in more than a decade. That exercise is part of a larger push by Army leaders to prepare units for a high-end war, a form of combat that received short shrift as hundreds of thousands of troops waged counterinsurgency campaigns in Iraq and Afghanistan. Europe faces multiples crises, from the dramatic influx of immigrants on its southern shores to the continuing Greek financial tragedy. Add the crisis in Ukraine and ISIS’s new order in the Middle East and Europe’s relative inertia in Asia becomes understandable. Nonetheless, it is in this climate that Japan would like more from leading European partners, not least France and the U.K. Taking into account the challenges Europe is facing, it is perhaps up to Japan to be more assertive in its relationship with Europe, articulating clearly what Japan can offer, and what it hopes to gain in return. 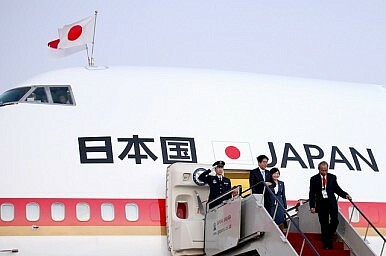 A key issue for Japan is the enforcement of international norms to check PRC moves, an issue that has been heralded as Europe’s entry-point into Asia-Pacific security issues. Following U.S. pressure, Tokyo kept step with Western sanctions on Russia and sanctioning individuals. 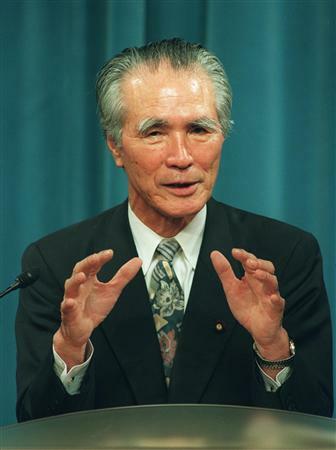 Tokyo’s toeing of the line was understandably reluctant as it dealt a blow to the hoped-for rapprochement with Moscow, an important component of Tokyo’s strategy to counterbalance Beijing.